Lucky me to be in Vienna and have a ticket to this performance, a perfect seat, and as it progressed it was the perfect opera evening. Loved it from the beginning when then conductor (Frederic Chaslin) came and a wonderful ouverture was played. First the chorus and then Sara (Enkelejda Shkosa) sang her aria. 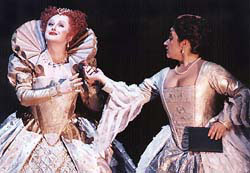 How wonderful it was, difficult to top that, one could think, but when the Queen came, Elisabeth I (Edita Gruberova), one knew, it was going to be splendid. "Die Gruberova" sang with heart, head, soul and making this belcanto opera so real, everything she put in her voice was be more a real person. My hands and shoulders started to ache after the first burst of applauds. 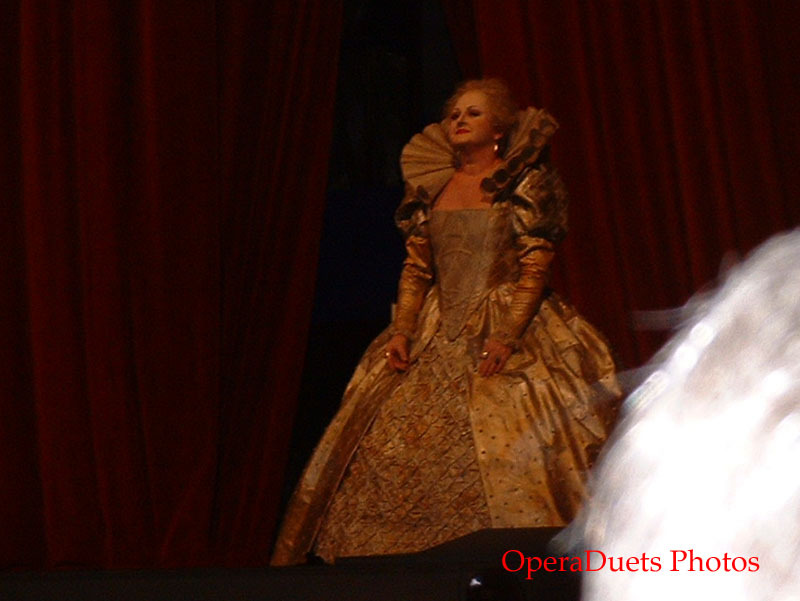 Divine, this Queen of Opera! 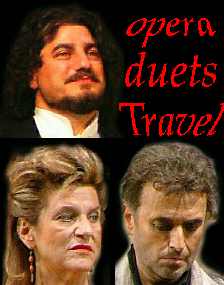 José Bros, the Catalan tenor (Josep Bros), had a real beautiful voice and appearance, and he did well in the different duets. As he played Roberto Devereux, the title role, he was really a man that one could understand all the fuss the women was making about him. The Duke of Nottingham (Renato Bruson) was naturally a great man for this role. This cast was really perfect. In the end, it was so much applause, and naturally, Brava!, we were all going "slightly mad" over Gruberova et al.